Canada is grounding all of its Boeing 737 Max 8 aircraft and banning the jet from entering its airspace until further notice as safety concerns continue to mount following two deadly crashes. “This safety notice restricts commercial passenger flights from any air operator, both domestic and foreign, of the Boeing 737 Max 8 and 9 aircraft from arriving, departing, or overflying Canadian airspace,” Transport Minister Marc Garneau told reporters earlier today. 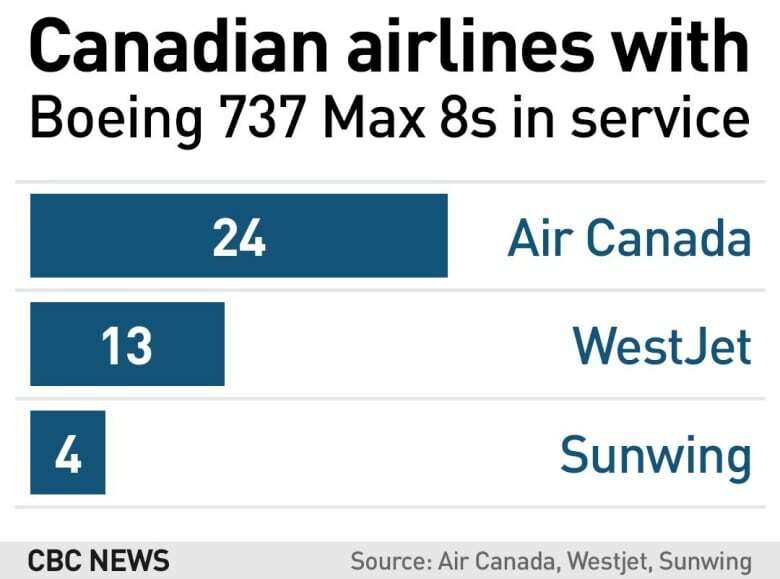 Canada had been one of the last holdouts on temporarily banning the the Max 8s in the wake of the recent Ethiopian Airlines crash that killed all 157 people on board, including 18 Canadians. The U.K., the European Union, Australia and other countries had moved already to ban the jet from their airspace in response to growing safety concerns. Garneau said the decision to issue the safety notice was made after his department received new data suggesting a similarity between the Ethiopian Airlines crash and another deadly crash near Indonesia in October. He pointed out, however, that the information was new and unproven. Air Canada, which already had cancelled multiple scheduled flights to and from London in response to the U.K. closing its airspace yesterday, said it’s working to rebook passengers. WestJet also said it will begin complying with Transport Canada’s direction. “We respect the decision made by Transport Canada and are in the process of grounding the 13 MAX aircraft in our fleet,” said the company in an email. Toronto-based Sunwing Airlines announced late Tuesday it would voluntarily ground its four Boeing 737 Max 8 aircraft for “evolving commercial reasons,” such as airspace restrictions imposed by some destinations. The union representing Air Canada’s 8,500 flight attendants welcomed the decision. “In light of the new data received by the federal government, we welcome the Minister’s decision to err on the side of prudence until the analysis of the causes of the Ethiopian Airlines Flight 302 crash is completed,” said CUPE spokesperson Wesley Lesosky. Earlier this week, Garneau said it would be “premature” to ground all 41 of the 737 Max 8s currently owned by Canadian air carriers. However, shortly after the U.K. announced yesterday it is temporarily banning the jets from its airspace, Garneau tweeted that he was cancelling previous plans and meeting with his civil aviation expert panel to discuss the Max 8 aircraft. Both the Conservatives and the NDP had been calling on the government to ground the planes as a precaution. Sunday’s disaster follows another fatal crash of the 737 Max 8 jet in Indonesia five months ago, which killed 189 people and raised concerns about the fleet’s automated flight systems. The U.S. is now one of the only countries still flying the aircraft. Garneau said Canada alerted the U.S. to the safety notice on Wednesday morning. According to a source with direct knowledge of the matter, Garneau directly contacted his counterpart, U.S. Secretary of Transportation Elaine Chao. The source said the Americans understood Garneau’s decision and did not try to persuade Ottawa to change its mind. Asrat Begashaw, a spokesperson for Ethiopian Airlines, said that before the crash, the pilot reported flight-control problems and asked to return to Addis Ababa, where the flight to Nairobi originated. The ‘black box’ flight recorders from the crash site will be sent to Europe for analysis, he said.